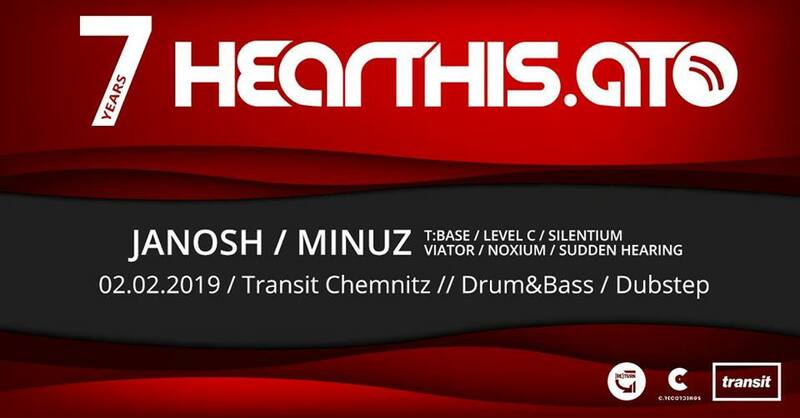 in our home town Chemnitz with good friends of the worldwide Drum&Bass scene. JANOSH (Sector8 / Erfurt) is not only one of the most harmonic playing DJs we met, he also produces a lot of floor fillers in his own studio. His uplifting sound has more energy than every sound system a club could have. Minuz (Bass Up) from Thuringia is the perfect match to our headlining act. The combination of well known tracks and unknown productions will create a journey through the history of Drum&Bass and let the sun shine at night. For this night we will bring some specials to the transit!